Editor’s note: We’re sharing the stories of small businesses that have successfully navigated the startup process, and taking a look at what challenges they faced during year one and beyond. We wanted to know: What growing pains do business owners face once they have opened their doors? What are their struggles and successes? View past articles in this series here: 1, 2, 3, 4, and 5. In the age of Amazon and Barnes & Noble, how can an independent bookseller compete? For Patti Brassard Jefferson—author, artist, and founder of Florida bookstore P.J. Boox—the answer was to leverage a changing market and to think about the bookstore model in a new way. After all, what do you usually see when you go into a bookstore? Shelf after shelf crammed with books, all arranged so you can see only the spine, with the occasional visible cover. Brassard Jefferson describes her 1,600-square foot store in Fort Myers, Florida, as more like an art gallery than a traditional bookstore. Bright walls and generous negative space highlight narrow one-row shelves that fit two or three copies of a book. Instead of squinting at the spine, you see the cover of every book in the shop. Brassard Jefferson also prides herself on a business model that is part consignment and part curatorial: instead of stocking the same major-publisher titles available at any Barnes & Noble or Amazon.com, P.J. Boox features books from over 35 genres, including mysteries, romance, poetry, and children’s books, but only from small-press and indie publishers. The original idea came to Brassard Jefferson at the end of 2014. Starting in 2009, there was a boom of authors publishing independently and bringing high-quality print and ebook titles to market. Between 2010 and 2015, registration of International Standard Book Numbers (ISBNs) of independently published titles increased 375 percent, from 152,978 ISBNs to 727,125 ISBNs. But it wasn’t always easy for those indie authors and publishers to access the same retail channels as more established traditional publishers. Usually, bookstores work with large distributors and wholesalers and have access to systems to source titles. By focusing on working directly with author-publishers (an author who both writes and publishes titles, instead of working with a separate publishing company), Brassard Jefferson saw potential in working outside that traditional ecosystem. Brassard Jefferson knew that she not only had to have a good business plan for the store, but that she would also need to leverage systems and data to help her understand her business. When Brassard Jefferson ran the idea by an author friend, instead of telling her it was “nutty,” like she expected, he loved it and said he wanted to help her make it happen. By April 2015, they had a suitable location and opened the Gulf Coast Bookstore. Drawing from Brassard Jefferson’s experience and network as a board member of the Florida Authors and Publishers Association and a member of the Gulf Coast Writers Association, Gulf Coast Bookstore was home to 36 local indie authors originally, but word spread and soon the shop carried books from 54 area authors. Timing was also on Brassard Jefferson’s side. Between 2010 and 2015, bookstore sales nationally had declined from $15 billion to $11.01 billion, yet the American Booksellers Association tallied a 20 percent increase in the number of U.S. independent bookstores between 2009 and 2014. Studies were also showing that customers weren’t all converting to ebooks—they were also buying print books in stores. Nationally, independent booksellers were finding that they could compete with Amazon and Barnes & Noble by offering expert curation, events, and insight into niche and genre book markets that weren’t served as well by larger stores. Brassard Jefferson soon began hearing interest from non-traditionally published authors who wanted to have more bookstore presence. Six months after opening her first location, Brassard Jefferson opened a second store and named it P.J. Boox. It carried titles from 500 authors from throughout North America (and today, she represents authors from over a dozen countries). 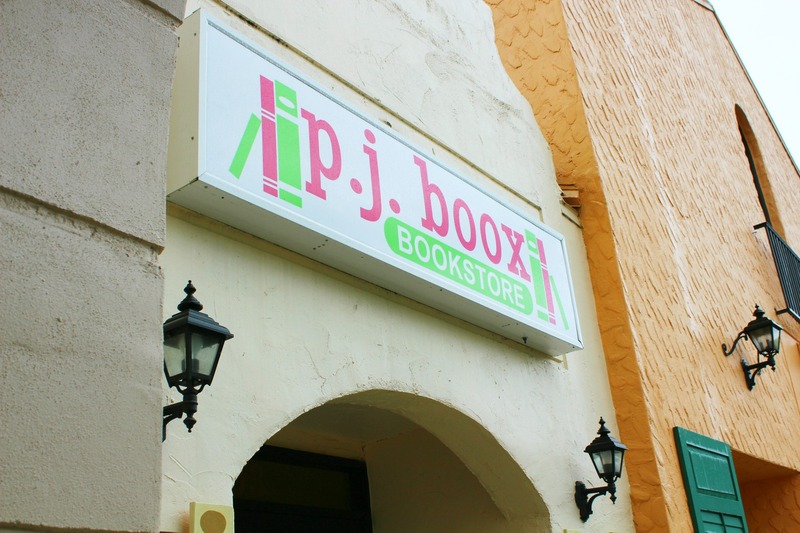 P.J.Boox.com also maintains an online bookstore. In December 2016, Brassard Jefferson’s business partner decided to sell his share of the business to her. As sole owner, she decided to improve brand cohesion by renaming the original Gulf Coast Bookstore as P.J.Boox Downtown. The downtown shop continues to focus solely on Florida authors. She continues to use her business plan to assess and modify her business model. “The plan has always been to figure out and really tweak the business model to eventually expand—possible even franchise—into other markets,” such as in Sarasota or Fort Lauderdale. As word has spread about P.J. Boox, however, Brassard Jefferson is finding that other stores are reaching out to her for advice on how to incorporate more indie books into their own offerings. “I am tweaking the business plan and our direction,” says Brassard Jefferson. “I’m looking less at franchising opportunities and more at consulting,” which she sees as a better fit with the independent mindset around indie bookstores, authors, and publishers. Focusing on books from indie authors, Brassard Jefferson knew she had to have a submission process with high standards. While publishing houses have design and editorial staff to drive quality control, non-traditionally published authors have often been stigmatized for “vanity publishing,” and have been criticized for poor covers, lackluster storytelling, and typos and other errors due to a lack of editorial oversight. Brassard Jefferson maintains a separate information site for indie authors and small publishers who want to work with P.J. Boox. All submissions go through a review process, ensuring that only well-produced titles are displayed in the shop. Using a method similar to the consignment model used by antique stores, Brassard Jefferson arranges for approved authors to rent shelf space for four-month periods. Since P.J. Boox is paid a rental fee by the author or publisher, the shop passes on 98 percent of store sales and 80 percent of online sales to participating authors and publishers. Revenues are paid out monthly via check or PayPal, and P.J. Boox handles packaging and shipping for online orders. Since they stock up to 10 copies of a title per shelf and can work closely with individual authors, Brassard Jefferson says it’s easy to arrange for authors to send signed copies—something they may not be able to do with other retailers. She’s also worked with authors to do in-store events and even video conferences with book clubs. P. J . Boox founder Patti Brassard Jefferson. Brassard Jefferson knew from the beginning that she was trying to establish a business that didn’t come with a set path, and that she would be discovering day by day what worked and what didn’t. She continues to leverage her business plan for guidance, and she uses it along with sales data to evolve her strategies. Brassard Jefferson has been creative not only in her artistic work, but in her ideas for accessing capital. 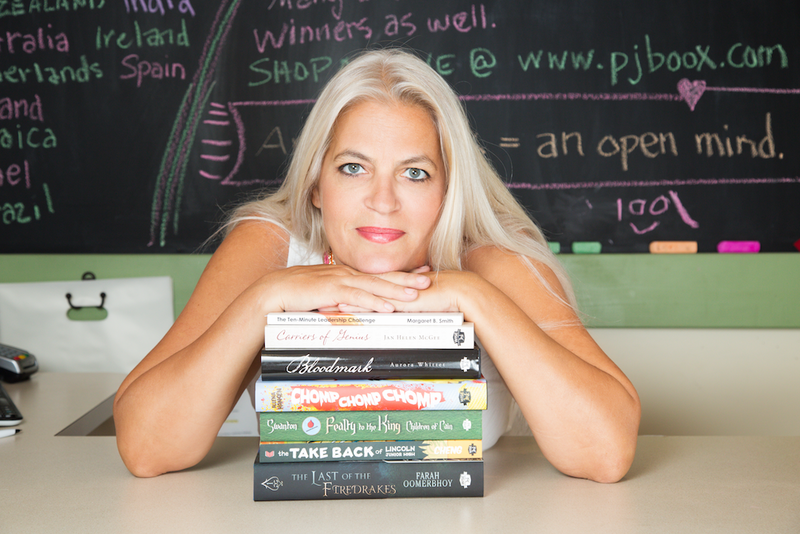 The model where authors pre-leased shelf space at the original Gulf Coast Bookstore enabled Brassard Jefferson to cover many of her startup costs. She also has experience with crowdfunding through platforms such as Kickstarter, and in 1998 sought traditional startup funding to launch a paint-it-yourself pottery studio. Data also helps her improve marketing outreach to the two markets she considers her core customers: the reading public who buys from P.J. Boox, and the indie authors and small publishers who rent shelf space. Follow industry news and trends. 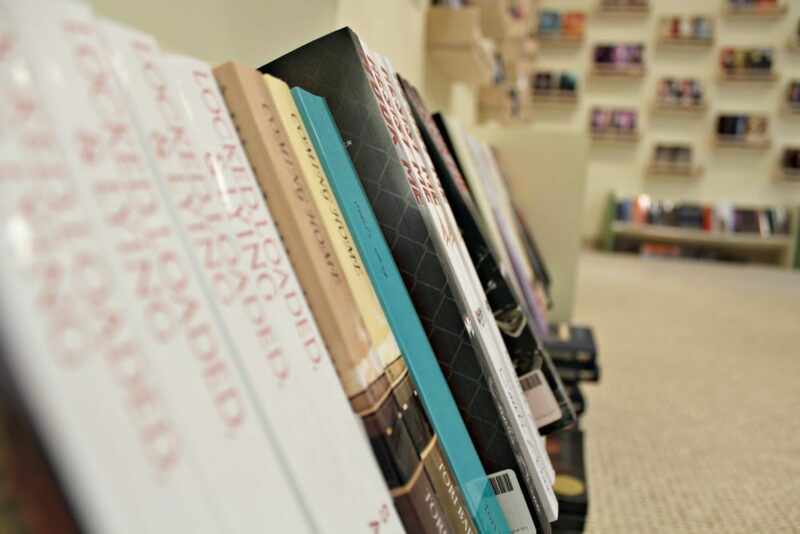 Brassard Jefferson relies on various resources and organizations to help her stay current on the independent book space and bookseller industry. A small group of authors, publishers, and business people also help her brainstorm. Focus on data, not perception. Instinct and opinion are important, but data will help you understand how your business is performing and where changes are needed. Check in with the plan. Brassard Jefferson uses her business plan to stay on track and course-correct if she realizes she’s veering from her core mission. Be flexible and pay attention. Evaluate opportunities and trends, but also be realistic about what is and isn’t working so you can make changes as needed. Set a budget and a proposed growth schedule. Brassard Jefferson has adjusted hers along the way, but having them provides a baseline so she can make better decisions. Innovate. When your business model is unique, lean in and accept that you are blazing a new trail. When there is no model to follow, creating processes requires flexibility and ingenuity.